Jewish Free Press,March 30 1999, pp. 22-23. Ginzberg, Louis. 1909-39. The Legends of the Jews. Translated by H. Szold. 7 vols. Philadelphia: Jewish Publication Society of America. Modrzejewski, J. (1997). The Jews of Egypt : from Rameses II to Emperor Hadrian. Princeton, Princeton University Press. Porten, B. and Archives from Elephantine Archives from Elephantine : the life of an ancient Jewish military colony. Berkeley. Porten, B. (1990). "The calendar of Aramaic texts from Achaemenid and Ptolemaic Egypt. "Irano-Judaica 2: 13-32. Raphael, C. (1972). A feast of history : the drama of Passover through the ages. London. I have been told that Egypt has now become a popular destination for Jewish Passover tourism. In the present political circumstances, that fashion might be seen as foolhardy or ironic. However previous generations of Jews found such a situation problematic primarily because of the explicit Biblical prohibitions against returning to that land that was infamous for its idolatrous immorality. It is nonetheless an undeniable fact that since the days of Moses, Jews have found themselves dwelling in Egypt for a variety of reasons. Thanks to the ancient papyri scattered in the silt of the Nile and the medieval fragments of Cairo Genizah, we probably possess more complete and continuous documentation of Egyptian Jewry than of any other branch of the tribe. Among our earliest records is that extraordinary archive of Aramaic documents from fifth century B.C.E. unearthed on the island of Elephantine, near Aswan. On that strategic site overseeing traffic and commerce along the Nile, a garrison of Jewish mercenaries was stationed by the Persian colonial government. Historians are in disagreement about when the military outpost was first established. Some date it as far back as the reign of king Manasseh of Judah in the seventh century B.C.E.. It is likely that the community's population was augmented by a wave of refugees fleeing the Babylonian conquest of Judea in 587. The puzzle of colony's origins is complicated by a remarkable letter that was preserved, albeit in fragmentary form, in the Elephantine archive. This letter was sent by an individual named Hananiah, apparently from Jerusalem, in "the fifth year of king Darius" (419 B.C.E.). The tattered letter, invoking the authority of the Persian imperial authorities, informs the addressees, "Jedaniah and his colleagues, "that they are to keep the festival of Passover on the fourteenth day of Nisan. From the fifteenth until the twenty-first of that month they are to keep the Festival of Unleavened Bread, avoiding work on the first and last days of the holiday, and studiously avoiding the consumption of any leavened products during that period. During those days, any hametz that remains in their possession is to be sealed off in a room. Historians have been perplexed by the utter obviousness of the message. Is it conceivable that a Jewish community should have to be officially informed, under governmental auspices, of basic rules of Passover that are set out so clearly in the Torah? The various attempts to explain this difficulty have generated diverse speculations about its historical context. Some scholars have indeed drawn the conclusion that the Elephantine Jews had not previously been observing Passover, or at least not in the manner prescribed in the letter. Several historians have argued that the directive was designed to lay down a uniform date for Passover, in contrast to the diverse practices that existed previously. 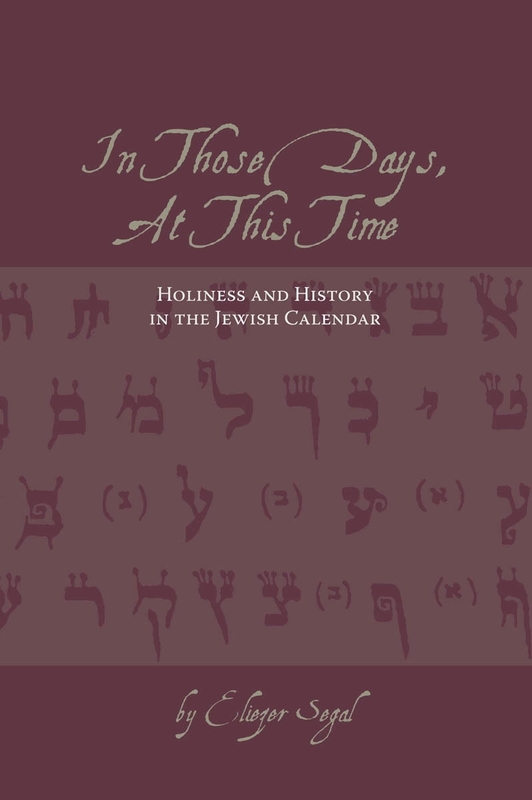 Perhaps (they suggest) the colonists had hitherto been following an early form of Hebrew religion, according to which the date of Passover was determined by agricultural stages rather than by a date on the calendar. Other scholars speculate that some of the soldiers had been observing Passover according to the Northern Israelite date, which was a month later than that of their Judean cousins. It is tempting to identify the letter's sender, Hananiah, with his biblical namesake, a relative of Nehemiah who was active in the political affairs of the restored Jerusalem, and may have been appointed Nehemiah's successor. Just as Ezra and Nehemiah had worked hard to impose the authority of the Torah upon the Jewish populations of Jerusalem and the Babylonian diaspora, it is possible that Hananiah was now extending that process to Egyptian Jewry. In fact, it is possible that the main thrust of the letter was to assure the soldiers that they had the full support and encouragement of the Persian government in their observance of the festival. One topic that seems to have been delicately avoided in the letter was the matter of the paschal offering. According to the normative Jewish policy, which is emphasized most strongly in the book of Deuteronomy, no sacrifices are to be offered outside the Temple in Jerusalem. However, we know that the colonists at Elephantine maintained their own sacrificial temple. This has been taken by some as evidence that the colony was founded before King Josiah adopted the religious reforms that abolished all sacrificial worship outside of Jerusalem. Though we would expect the Jerusalem leadership to state their condemnation of the illicit sanctuary, Hananiah's letter does not seem to deal at all with that touchy issue, other than by omitting any explicit mention of it. The fragmentary character of the evidence does not permit us to draw firm conclusions on this matter. At any rate, the matter became moot a few years later, when the Temple at Elephantine was destroyed in a native uprising that took place in 410. Even after the rebellion was suppressed, order restored, and the perpetrators punished, the Persian authorities were reluctant to authorize the Elephantine temple's rebuilding; and requests for support from the Jerusalem leadership were never answered. In the end, the governor consented to replace the sanctuary only if animal offerings would be forsaken. The issue that kindled the anger of the Egyptian rebels was more religious than political. In fact it was a problem that goes back to the roots of the Passover story, to the days of Jacob and Joseph. Already then, the Israelites were careful not to advertise that they were shepherds because this was considered an offense to the Egyptians. A venerable midrashic tradition makes use of this premise to explain why a lamb was chosen for the Passover sacrifice: It was precisely because sheep were worshipped by the Egyptians; so that the Hebrews' fearless preparation and slaughtering of that animal in full view of their pagan neighbours would be the ultimate display of their newfound spirit of liberty. This was precisely the situation in the days of the Elephantine sanctuary. Many Egyptians at that time were devoted to the worship of Khnum the ram-god. Hence, in their eyes the Jewish sacrifices of lambs, on Passover and on other occasions, would have been viewed as an offensive blasphemy, provoking the violent attack that put an end to the Jewish sacrificial cult at Elephantine. Thus, in true Passover spirit, this colony of Jews who had returned to the soil of Egypt, found themselves reliving the very same conflicts that their forefathers had experienced in the days of the original exodus.